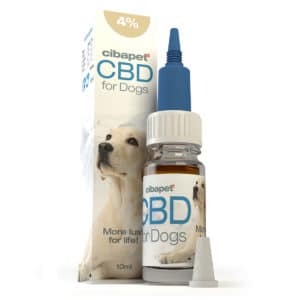 CBD is the abbreviation for cannabidiol. 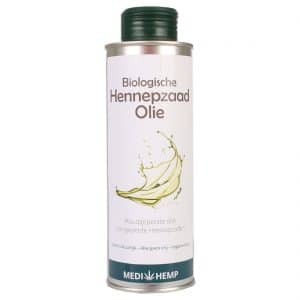 This substance is derived from the flowers and leaves of hemp plants. 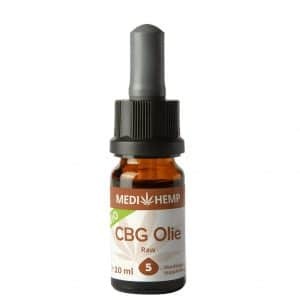 By using selective breeding techniques, CBD Oil is very rich in CBD, and contains only real small traces of THC. There are no negative side effects like getting high or getting addicted. Yes, Because the substance CBD is not psycho-active, CBD oil and other CBD products are 100% legal in most of Europe. Read all about it at (air)travel with CBD. 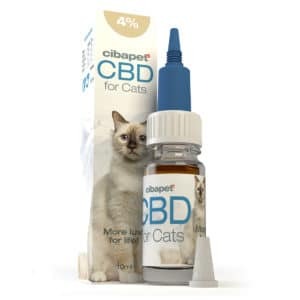 Getting high from CBD products is not possible. 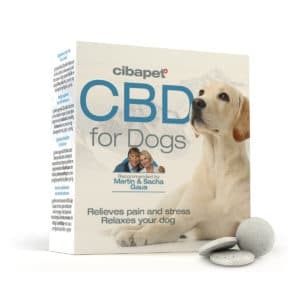 These days, there is a veritable plethora of products containing CBD out there. The most popular and well-known CBD products are CBD oil, CBD capsules, and CBD e-liquids. There are many more, however, and all of those can be found on this page. 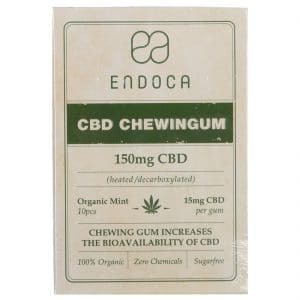 Endoca has developed a chewing gum containing exactly 15 mg of CBD, and there are many advantages to using this product. 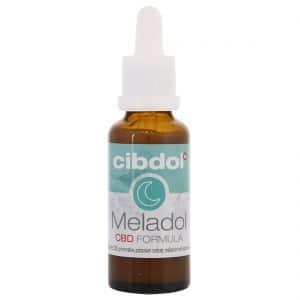 Its refreshing taste makes it perfect for CBD users who may dislike the taste of CBD oil. The CBD gum also delivers a rapid, effective, and precise dosage of CBD oil that is absorbed through your oral mucosa instead of first having to be broken down by your digestive system. Because each gum contains exactly 15mg of CBD, you’ll also know exactly how much CBD you’re consuming. 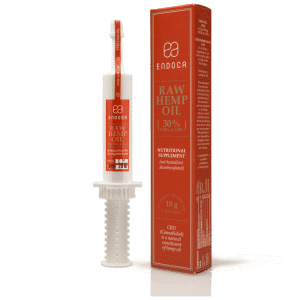 If you own a vaporizer and are looking for a CBD product that would complement its use, Endoca’s high-quality CBD crystals might just be what you’re looking for, provided your vaporizer comes with a liquid pad. 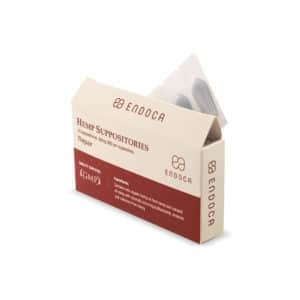 Endoca Crystals offer the user nothing but pure and unadulterated CBD, which boast an impressive 99% CBD content. 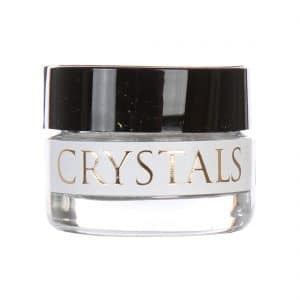 You could even make your own CBD oil using these crystals, and that’s no mean feat. Because Endoca understands that we live in a world that values reliability and perfection, each product batch is individually tested by party-independent labs. The results of these tests can be accessed and read on Endoca’s official website. 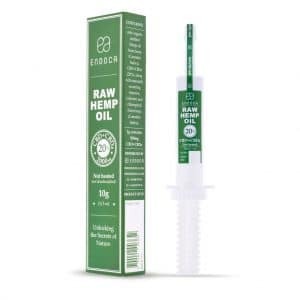 Jacob Hooy and Hemptouch have specialized in producing skin care products containing cannabidiol, such as their rich and soothing CBD skin cream. Jacob Hooy has also formulated a CBD soap that is 100% natural and extremely suitable for sensitive skin. 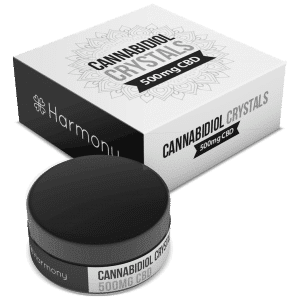 This soap pairs particularly well with some of their other CBD products, such as the Jacob Hooy CBD serum, CBD oil, and CBD capsules. 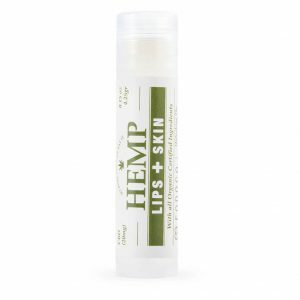 Hemptouch has also formulated an advanced blend for people suffering from problem skin. 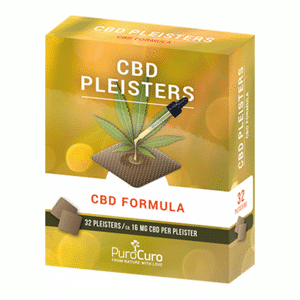 If you happen to be looking for something stronger than CBD oil, look no further, as we have added a variety of potent CBD Pastes that have a high proportion of cannabidiol (CBD) to our assortment. Although these pastes have a high CBD content, their manufacturers have managed to keep the THC percentage below acceptable limits. 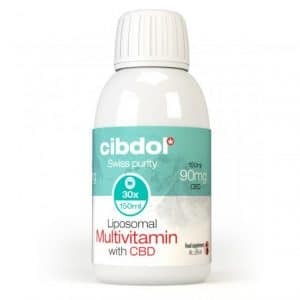 While their potency might seem intimidating, each container has been outfitted with a specialised dosing mechanism for precise and safe dosing. 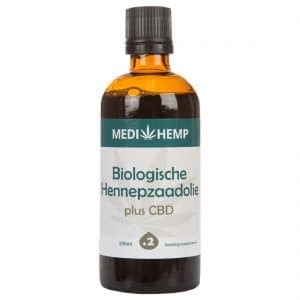 When CBD is applied sublingually or inhaled, it gets absorbed directly into the bloodstream, bypassing the digestive system and metabolism in the liver. It can also be consumed with or mixed into food and drinks. The CBD pastes we sell are all made from 100% natural ingredients and do not contain any chemical additives. 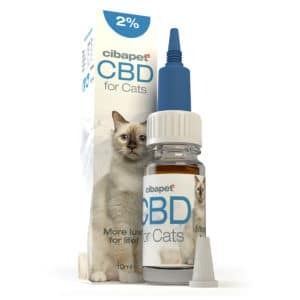 You may have landed on this page after learning about CBD from a friend or something you saw on TV. There might even still be some things about CBD oil you do not know about, especially because CBD remains the subject of many questions and misinformation still abounds. 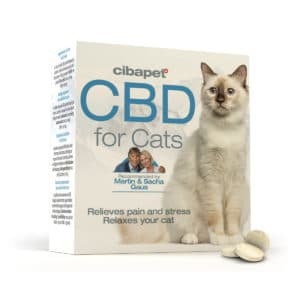 This might be due to the fact that a lot of the terminology surrounding CBD is used incorrectly by many people, making it difficult for the layperson to make sense of it all. Consider, for example, CBD and cannabis oil: while both products are completely different, many people still think they’re one and the same! There’s also a lot of confusion about the difference between the different compounds – most notably THC and CBD – found in plants belonging to the Cannabis family. To help you navigate the wondrous world of cannabis and hemp products, we have compiled a list of frequently asked questions. If, however, you’re unable to find the answer you’re looking for, please get in touch with us, as we’d be more than happy to help you out. If you’d like to read about other people’s journeys, perspectives, and experiences, we wholeheartedly recommend Dr Franjo Grotenhermen’s “Cannabidiol (CBD)”. If reading books isn’t your cup of tea, you can always read our customer reviews to find out how they’ve benefited from CBD. We’d also love to hear all about your experiences and would appreciate it if you could share your insights so that others can benefit from them. We would also be more than happy to answer any possible questions you might have.